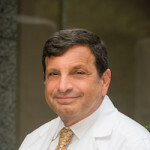 Dr. Lerner is has many personal interests, including spending time with his family, playing sports, traveling, and reading. Dr. Lerner is focused on making your care experience as personal, convenient, and comfortable as possible. He takes the time to fully listen and understand your needs, and then work with you to develop an appropriate plan of action. He wants you to be a full participating partner in your healthcare.